Take your STCW Training in Antibes and immerse yourself into the midst of a vibrant yachting atmosphere. Everything you need to find your dream job aboard is within easy reach. 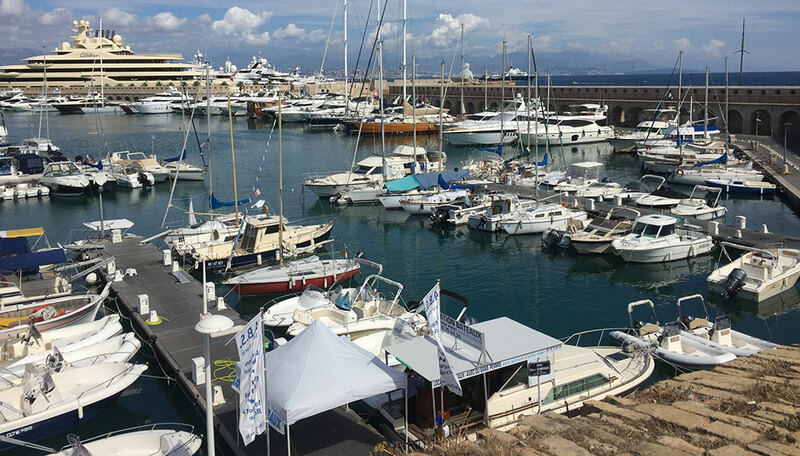 Our Classroom is located right in the centre of the historical old town and less than a 2 minutes’ walk to the expansive pleasure marina, Port Vauban. Within close proximity you’ll find several budget priced places to stay, crew agencies, hostels or apartments to share. Antibes is steeped in history dating back to 5th Century BC when she was founded by the Greeks, then later taken over by the Romans. After the fall of the Roman Empire the town fell under attack from various barbarian tribes. Fort Carré and the old walls were built to protect the town from invasion and today, the Remparts serve as the perfect elevated spot to enjoy some peace from the bustling town and admire the vibrant blue sea and grandiose display of super yachts in the port or anchored out at sea. Today Antibes is a town that caters massively to the yachting industry. There is every type of yacht supplier, uniform supplier and service provider imaginable. There is an array of restaurants, brasseries and cafés in town, some of which are great for networking in, as well as fresh food markets and more practically priced supermarkets to do your shopping. Antibes has undoubtedly become the most popular destination in the Mediterranean for crew wishing to embark in the yachting industry. Home to the largest pleasure port in Europe, the central location on the Cote d’Azur provides ease of access to other ports along the French and Italian Riviera’s, all within a simple train ride. Time never goes to waste whether you’re checking in to crew agencies, networking in cafés or on social media, handing out CVs, visiting yachts, ports or taking time out just to discover the region. It’s an amazing cultural social and educational learning experience. You’ll find you’ve accomplished a lot more than your STCW and Superyacht experience after your stay in Antibes.